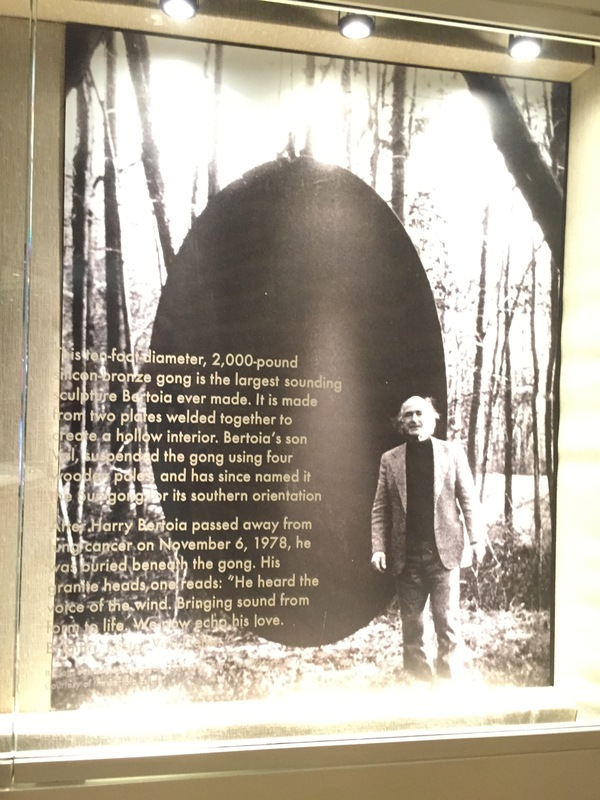 tonal, or “sounding” sculptures in the 1960s. This is the work that attracted my attention as a music student, and this is the focus of the current exhibit. Unfortunately, I was able to only see them and not hear them, since the hours in which they can actually be heard are very limited. I will have to be content with recordings of these beautiful sculptures. Bertoia recorded his sound sculptures, resulting in a collection of wonderful LPs that sound like early electronic music. He called these sounds Sonambient. 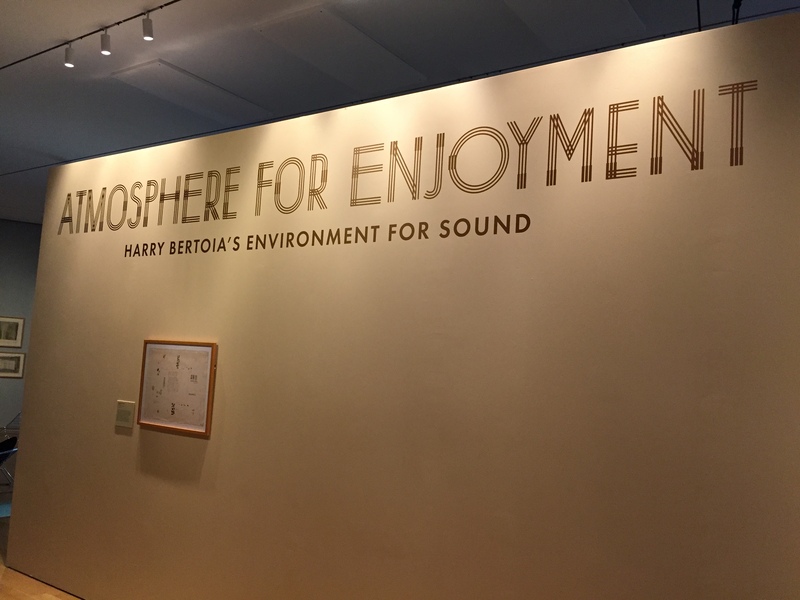 The recordings that were being played in a listening area at the exhibit reminded me very much of electronic music of composers such as Karlheinz Stockhausen. Watch a video Garry shot at the exhibit here! 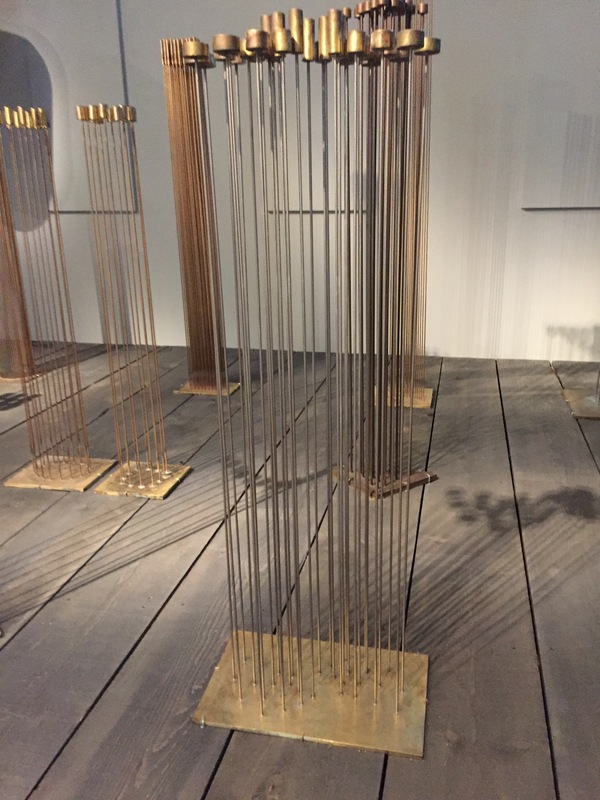 Bertoia found beryllium metals to be ideal for his work because of their weatherability and their tendency to retain their shape even under repeated stress and strain. This comes at a cost, however, since the dust created by working with this material is a known carcinogen. While I’m not sure of the direct connection, Bertoia died in 1978 of lung cancer. Much of his output consisted of thin metal rods attached to resonating bases with or without weights on top. When these rods strike each other, the result is greater than the sum of its parts. A wide spectrum of sound is created with just a dozen or so rods. For me, the visual impact of his work reﬂects both architectural shapes as well as organic forms. 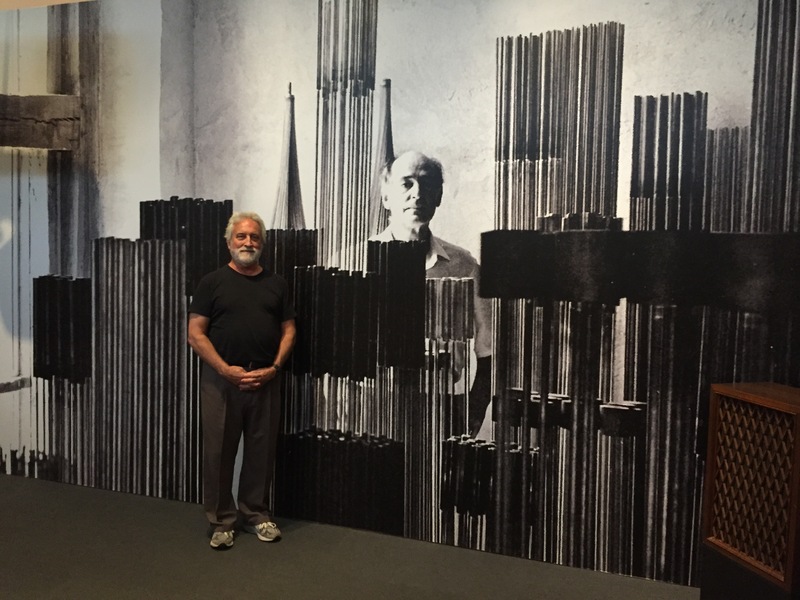 In addition to these tall, thin sculptures, Bertoia made a number of gong-type instruments, ranging in size from medium to his gigantic sun gong, which stands on his property in Pennsylvania and under which Bertoia is buried.